To usher in the Lunar New Year with good vibes, I am hosting a giveaway in partnership with CELESTY. But first, let me tell you more about the company, the brand and its products as well. Shinagawa, the makers of CELESTY, has steadily evolved into one of the worldwide leaders in Lasik & Aesthetics. Over the course of 25 years, it has enjoyed the patronage of over 3 Million satisfied patients. The company has been in the country for 5 years. 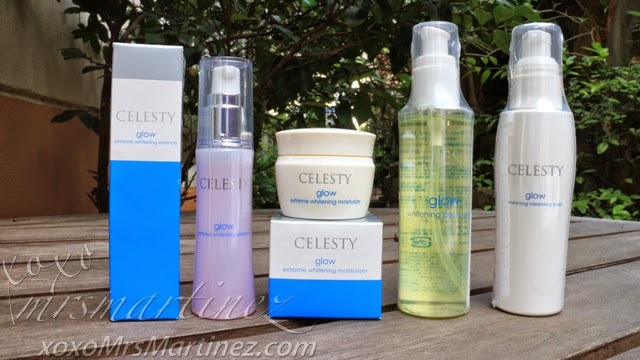 Aside from world-class services, Shinagawa has formulated an expert line of beauty products called CELESTY. 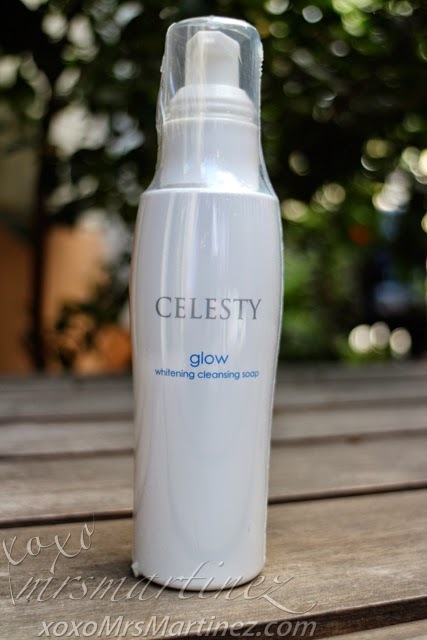 A vital part of this line is the CELESTY GLOW SERIES which effectively removes makeup, oil, deep-seated dirt & blemishes, tighten skin pores, lighten dark pigmentation, prevent wrinkles & dry skin, and whitens skin while improving tone. Practically, everything a woman my age needs! To remove all that oil and dirt in your skin, all you need is a liquid soap that thoroughly washes off culprit to skin impurities, leaving you with fresh-looking skin. 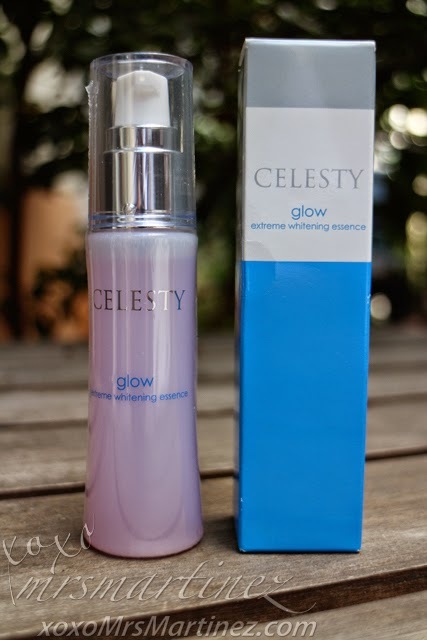 CELESTY Glow Extreme Whitening Essence is concentrated with YH-15 extract that lightens dark pigmentation while improving uneven skin tone. It also has Malachite extract and *Vitamin B12. *Vitamin B12 has anti-aging and anti-inflammatory properties which help reduce appearance of stress on face and prevents skin infection. 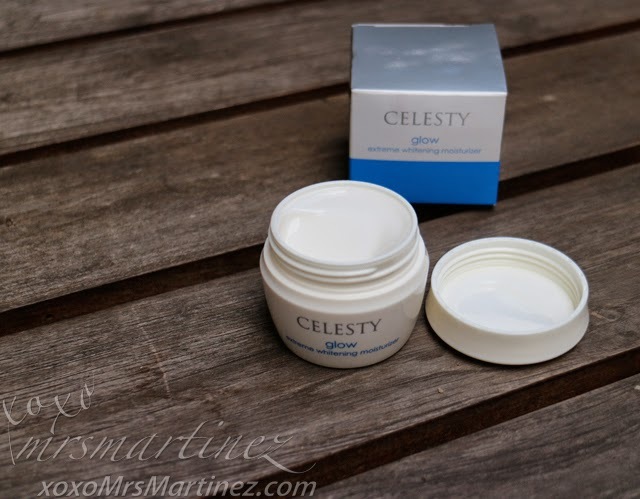 CELESTY Glow Extreme Whitening Moisturizer is a moisturizing cream that locks in moisture to prevent skin from dryness. SO SMOOTH, SO SOFT, SO WHITE! 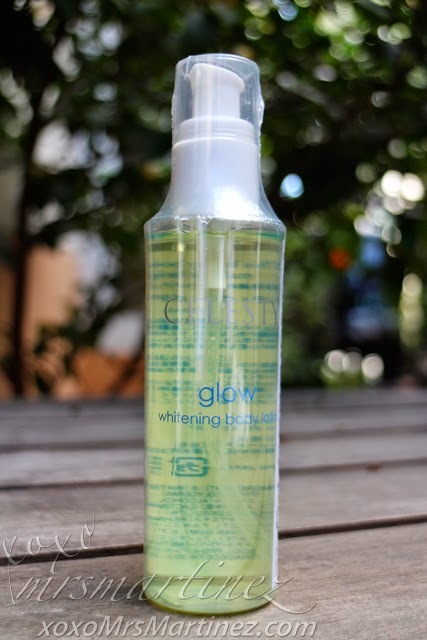 CELESTY Glow Whitening Body Lotion provides skin with instant hydration. It is formulated with YH-15 extract to lighten dark pigmentation and prevent new ones from appearing caused by melanin formation on skin. You all know how I love Japanese products. It is good to know that all CELESTY beauty products are doctor-formulated and 100% made in Japan. You can visit their website at http://www.shinagawa.ph or you can call their hotline number 491-0000 for inquiries about their products and services. And now for the much awaited giveaway, #MrsMartinezxCELESTY will be giving away ONE (1) bottle of CELESTY Glow Extreme Whitening Essence worth Php 2,050 each to TWO (2) winners. Before you join, please make sure that you can PERSONALLY claim the prize at SHINAGAWA CLINIC located at the address above. Representatives of the company will be delighted to assist you and will also take a few photos for their file. "#MrsMartinezxCELESTY Giveaway Win a bottle of Extreme Whitening Essence @xoxoMrsMartinez @ShinagawaClinic Details here http://goo.gl/11E28U"
Giveaway will run until February 26, 2015. Good luck! Congratulations to Rachel "Chel" Agcaoili (rachel.francisco29@gmail.com) and Yvonne Claire M. Bertoldo (yvonnembertoldo@gmail.com)! You each won a bottle of Extreme Whitening Essence worth Php 2,050. Thank you to all those who joined this giveaway. Keep supporting xoxo MrsMartinez!